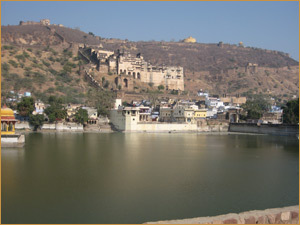 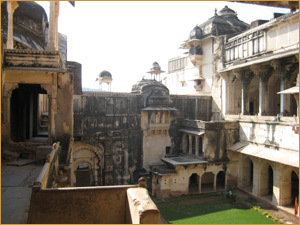 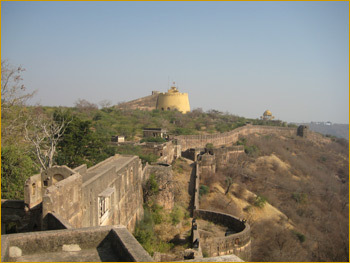 Bundi is a town with a small-town character despite its 100.000 inhabitants. 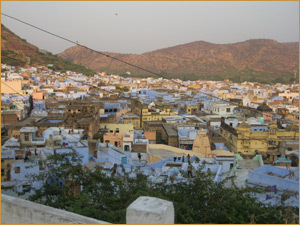 The town is surrounded by hills and inside the town-wall there are very few cars which makes the place more relaxed. 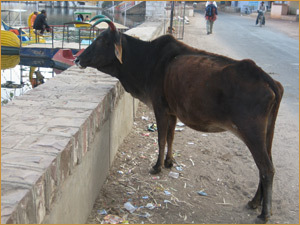 Of cause you'll find cycles, auto-rickshaws, motorcycles and cows, it's India! 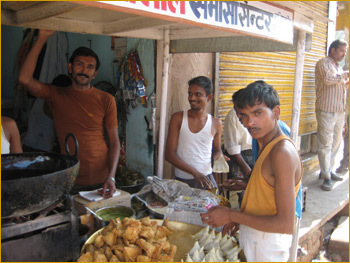 People are very nice and friendly and when you hear "Hello" it usually means just hello, not that everybody is trying to sell something like in many other places. 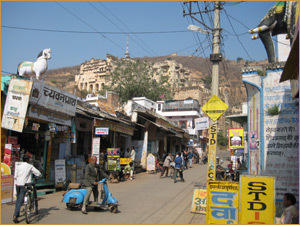 Bundi is a town best explored by foot, but if you get tired you'll find lots of auto rickshaws. 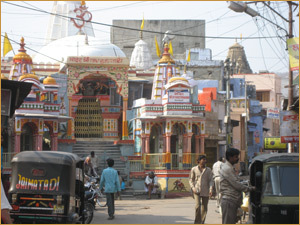 You'll find the bus station a little outside the walls, there are banks, ATM's, internet cafe's, a hospital and a market as well. 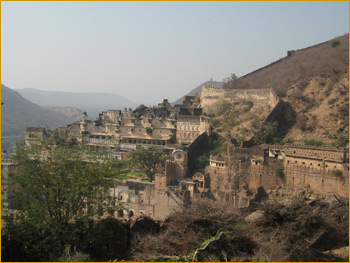 Bundi is famous for the many step wells, some of them in very good condition and the Palace and the Fort are well worth a visit The view from the Fort over town is fantastic! 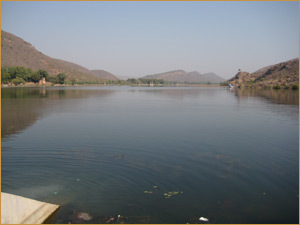 The surroundings are very beautiful with small lakes and mountains. 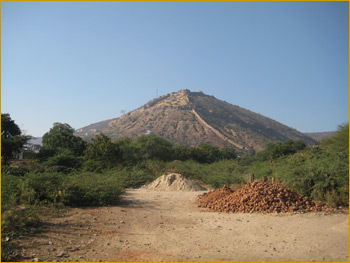 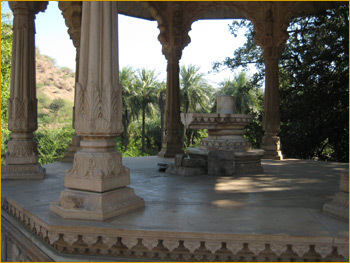 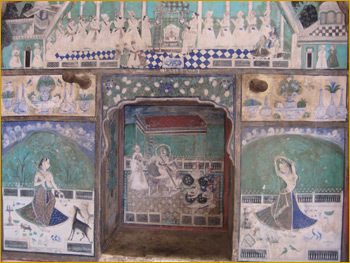 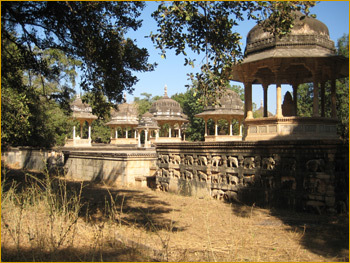 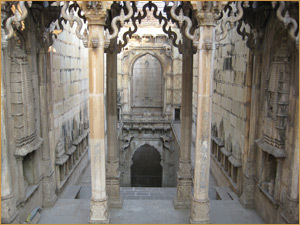 A few km outside Bundi you'll find Sar Bagh with its 60 Cenotaphs. 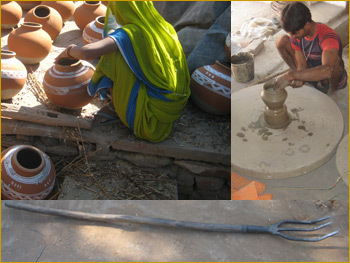 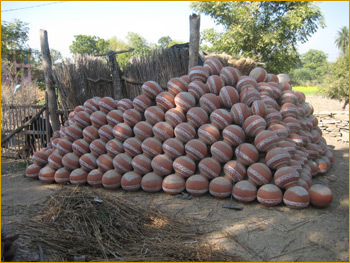 A little further on you have Thikarda where the make the famous pots for water storing. 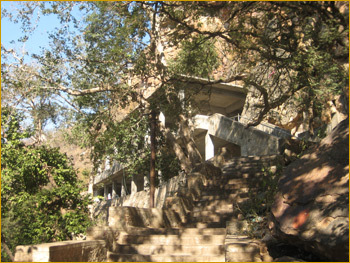 You can go another way back round the mountain or go to Rameshwar with a temple and waterfall. 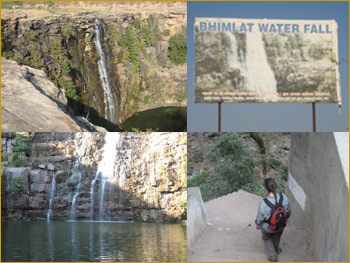 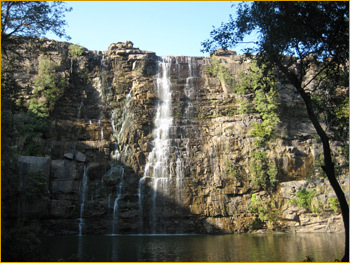 About 30 km on the road to Chittogarh you have another waterfall with more water during the winter, on the way to Bhimlat you'll pass through some small villages. 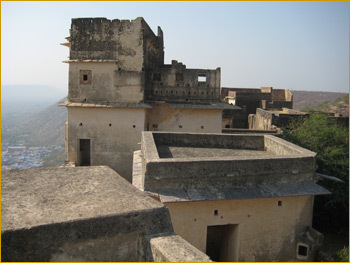 Except for eating and relaxing on the rooftop at Shivam Guest House you can explore Bundi by foot or rent a bicycle or a motorbike for longer trips. 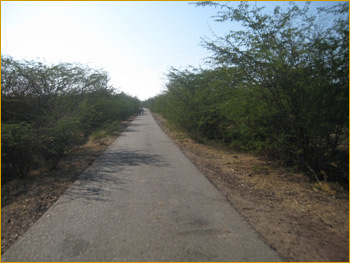 You'll find several places that has a bicycle for 40 Rs/day and a motorbike for 200-300 Rs/day. 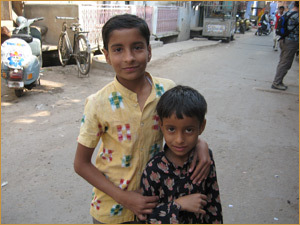 Of cause you can hire a rickshaw driver for a whole day too. 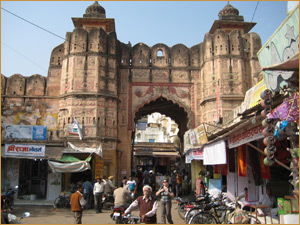 Go to the Tourist Office (on the opposite side of the bus station a little further on the road to Kota) for a free map and for more information about Bundi and the surroundings. 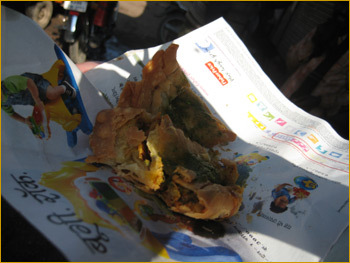 If you get hungry when walking around town - have a Samosa together with me at Mangilal Samosa, the best Samosa in Town! 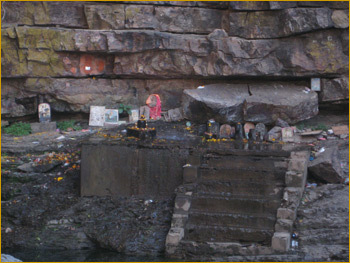 Between Market and Buss station.